Please complete the form below and your enquiry will be sent directly to Tip of Africa Endurance Ride via email. Your enquiry has been sent to Tip of Africa Endurance Ride. 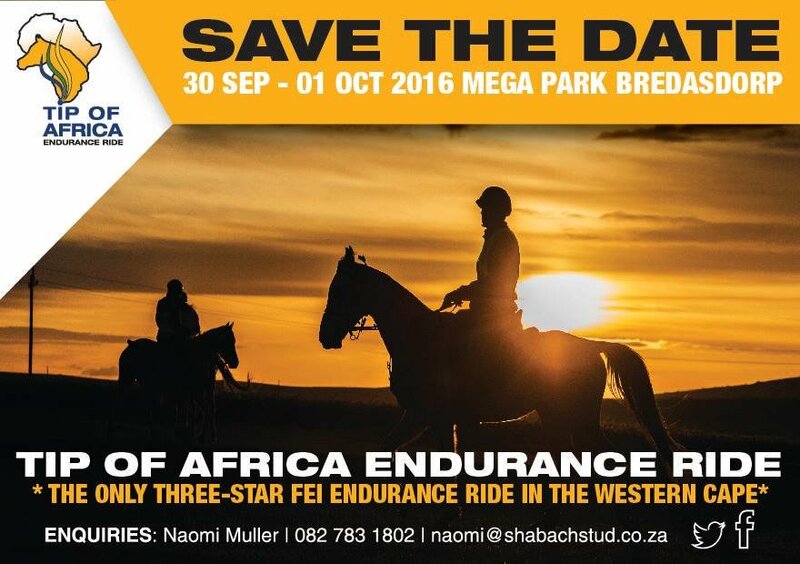 The only three-star FEI Endurance Ride in the Western Cape! World class facilities, 8000m2 indoor vetting station & trotting lanes! Take part alongside international riders from countries like France, UK, Netherlands, UAE and Namibia. Have the “freedom...to race to the end” through the splendour of the Overberg countryside with its rolling green hills, bright yellow canola fields and beautiful fynbos. A special welcome to all newcomers! Bring your horse for its first 30km ride. Lots of entertainment for the whole family! - Fresh produce, home-baked goods, crafts & handwork.